Take one mixi bowl and blend all the stuffing ingredients coarsely. Keep aside. Stuff stuffing into each chilli properly.keep aside. Take one bowl, add besan, salt, turmeric powder, soda, water, whisk well and make smooth batter. Add 2 tablespoons hot oil. Whisk well. Heat sufficient oil in kadai. 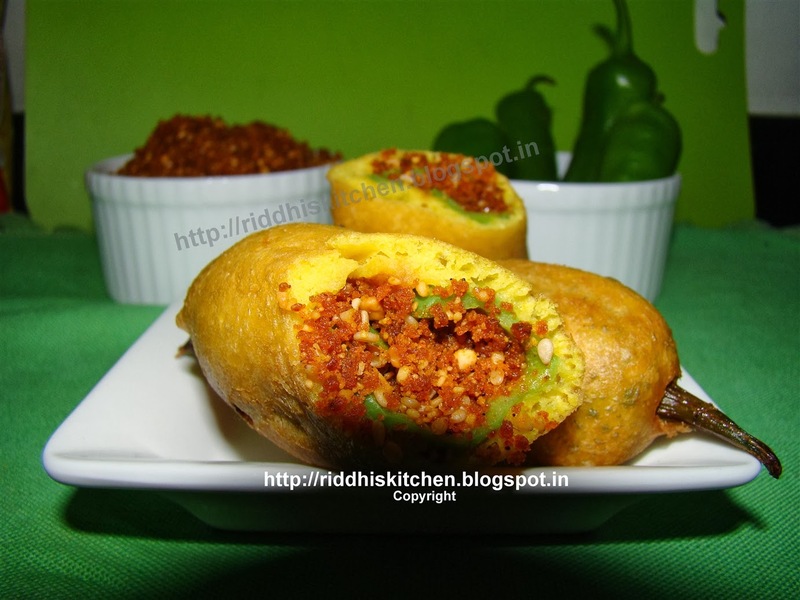 Deep each stuffed chilli into batter and deep fry till golden and crisp. Drain on absorbent paper and serve hot. Tip: Dabeli masala you can buy from market.